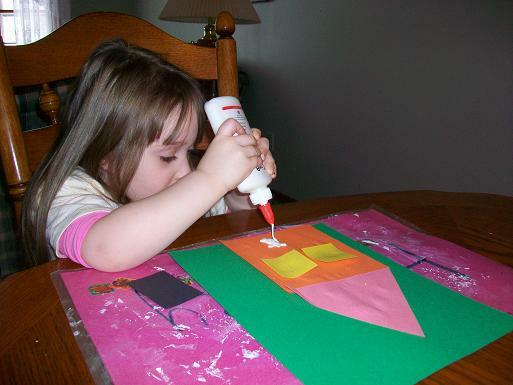 Now that I’m working and Hailey is going to preschool it’s really hard to find time to do the crafts and activities that we used to do. But I miss doing it with Hailey, so I am going to really try to get back into doing more activities with her. 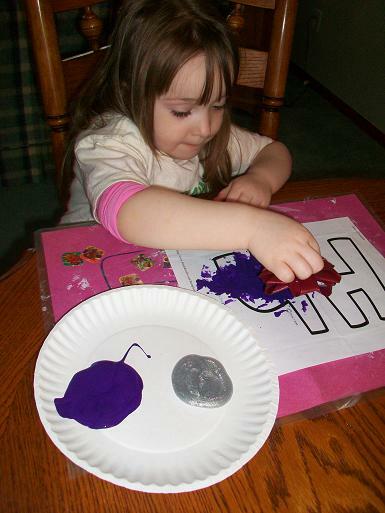 Hailey used a bow to paint the letter H.
For our project that will go into Hailey’s ABC book, Hailey made a House. 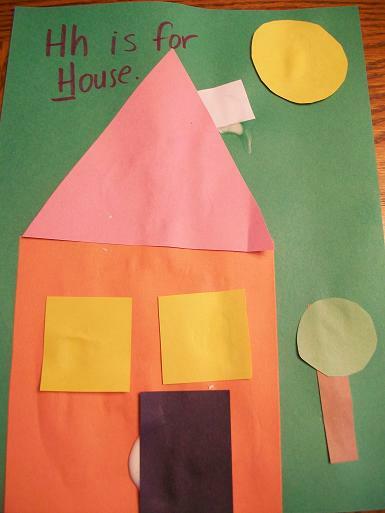 She glued various shapes onto her paper and made a house. The finished H is for House. It took my forever to get all of the issues sorted out with my categories after Rich moved me to a new host. I went from having over 50 pages of categories (in the admin area) down to 2 pages. I had to delete each category one at a time otherwise I would get an error message. So, I should be back up and running and posting new crafts. The only problem right now is that some of my links in my posts will no longer work since the categories were so messed up. I’ll work on getting that fixed sometime soon. Please let me know if you are having any problems with any part of my blog.